Medieval silver farthing of Edward I, London mint, 1280-82, class 9-13. 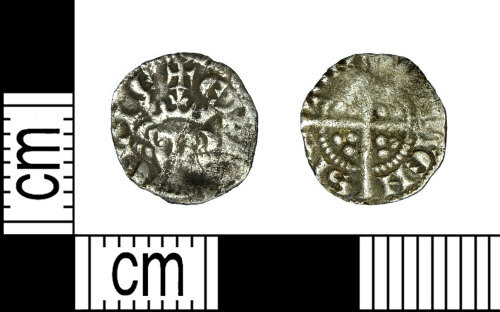 Medieval silver farthing of Edward I, 1280-82. London mint. Medieval silver penny of Edward I, 1280-82, London.